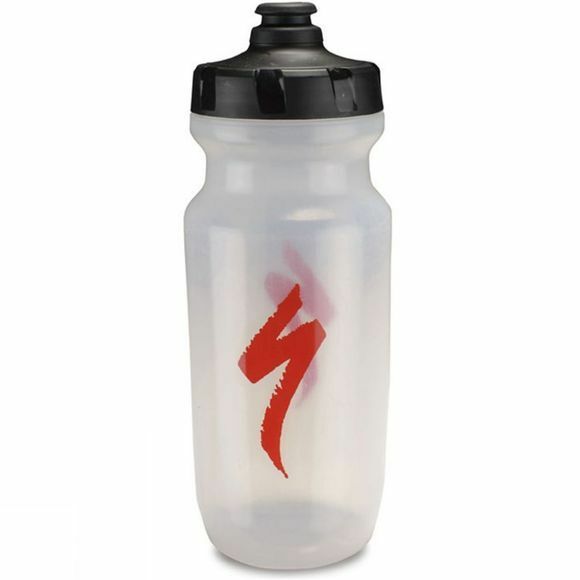 The Specialized best-selling bottle is now even better. The new and improved ergonomic design provides better feel and function while still retaining the durable, 100% leak-free qualities its known for. New Big Mouth cap design features a wide water channel to deliver up to 50% greater flow than other leading bottles, plus improved functional outside grip. Large, soft and reliable poppet top is easy to activate and seals tight. 100% leak-free. Easy to grip and more flexible than the original Little Big Mouth. Also available in 21oz Big Mouth 2nd Gen option. BPA-free plastic made from 100% FDA food-grade materials and printed with non-solvent base (UV cured), CPSC-approved ink and bottle materials.